WhatsApp is the best chatting and messaging service platform to chat with our contact list friends for a long time without any balance and with less data consumption, WhatsApp has almost supported all device it is available for all platforms. It is easy to install and use, WhatsApp is the top most chatting app and file-sharing the app in the world. Nowadays most of the WhatsApp users can now search WhatsApp tricks on the internet one of the famous tricks is Run 2 WhatsApp accounts on one single Android device (Tablet & Smartphone). This trick is really awesome but it largely viral on the internet but some of them will not work on all device few tricks requiring the Rooted Android Phone some other else. But today we’re going to simple sweet trick to install and use the Dual SIM card for 2 WhatsApp accounts easily and for free. 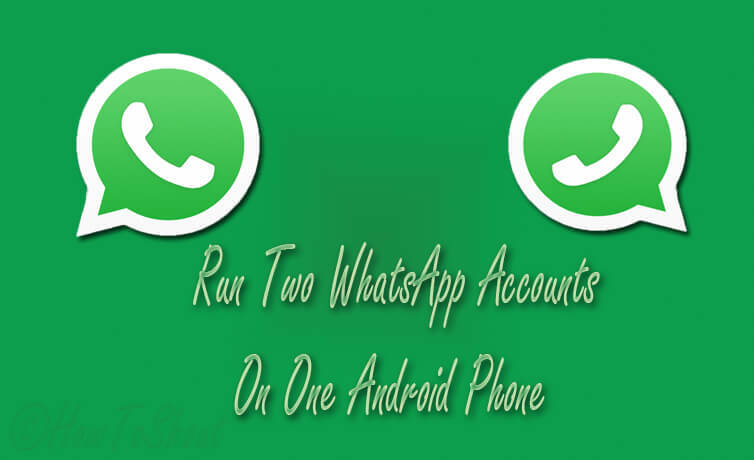 If you have the Dual SIM and Dual SIM Android smartphone then this trick is useful and working well for you, because this trick is 100% working, if due to some reason if not able to run 2 WhatsApp accounts on your Android smartphone then feel free to ask in comments we will help you shortly, but we sure that you’ll successfully run 2 WhatsApp accounts on your Dual SIM Android phone by following our this tutorial. We actually using a GB WhatsApp application in Android phones to run the 2 whatsApp accounts on one single Android device. This is the easiest and shortest method on the internet and our HowToShout blog. This GB WhatsApp has all feature same as original WhatsApp app. First of all, you need to download the latest version GB WhatsApp application on your Android device from here. After installation, now open the GB WhatsApp app and enter your another mobile number which is want to use as your secondary WhatsApp account because a primary number was already registered. Install this Gb WhatsApp same as original; WhatApp app, it sends confirm code to your number, just enter it and make your WhatsApp profile. Now in your app menu screen, you will see two Whatsapp icons which are registered with two SIM cards numbers. So this is easiest and shortest 5 steps method to run 2 WhatsApp account son single Android Dual SIM or non-Dual SIM device. If it really helps you don’t forget to share with your friends or if you getting any problem then feel free to ask in comments. Keep visiting HowToShout blog for latest tips and tricks.